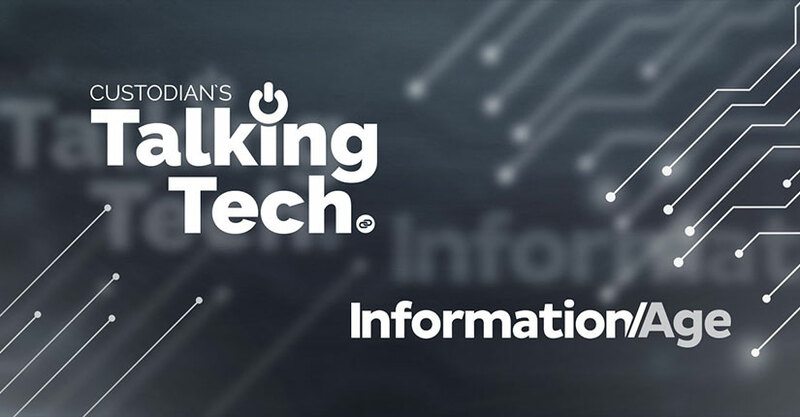 Custodian Data Centres have partnered with the popular technology publication, Information Age, on the upcoming Talking Tech events. The sales-free driven IT event is approaching its fourth event in under two years in April 2019, after successfully discussing and debating some of the hottest tech topics with its growing audience of senior IT professionals in previous events. Hosted at the Maidstone TV Studios in Kent, Talking Tech has seen industry leading speakers take part, including representatives of organisations including Oracle, Advanced and Holiday Extras. Topics of discussion have covered GDPR, Cyber Security, Automation, Talent and Cloud. “The partnership with Information Age is something we have been keen on securing”, said Drew Morley, part of Custodian Data Centres events team. Topics of discussion at the next event on April 25th 2019 are Security with AI and Containerisation. Speaking on Security with AI is founder of Secure Data Europe, Etienne Greeff, with his talk entitled The Rise of the Machines: Why we have nothing/everything to fear. Etienne is a seasoned speaker in the InfoSec industry and he will lead discussion on machine learning and AI with respect to application security, examining how these may be used in both offensive and defensive applications. Luke Whiting, Senior Software Developer at social media monitoring tech company Brandwatch will be speaking on Containerisation, specifically Managing your Microservices: Bringing Order to Chaos. At Brandwatch, they take more than 30 discreet applications, deploy them to 50+ servers and keep them all happy. This talk will be of particular interest to people looking at cloud hosted solutions like Google Kubernetes Engine (GKE) or Amazon Elastic Container Service (ECS) but wanting the control and cost saving that bare metal brings without losing that easy, managed deployment environment. SIGN UP TO APRIL 2019’s TALKING TECH EVENT AT THE MAIDSTONE STUDIOS FOR FREE TODAY!